A few weeks ago Kain sent me their Beck sweater (I like to pretend it was named after me) as a gift. 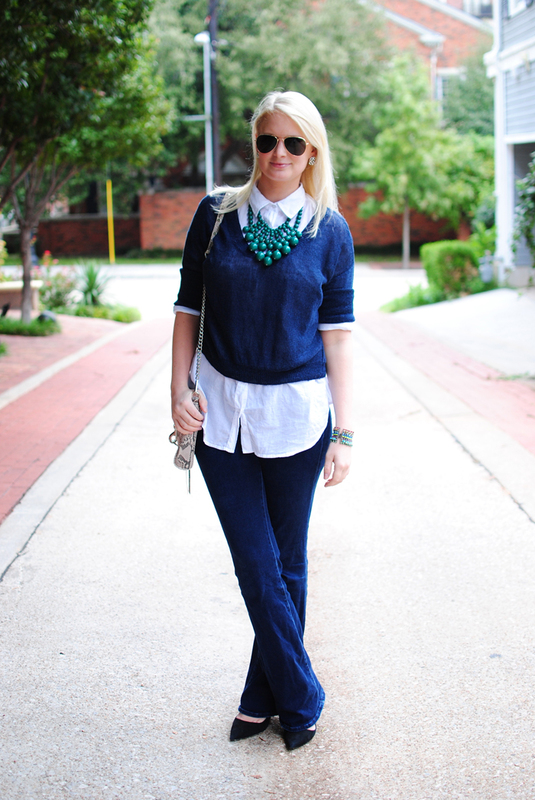 I love the navy hue for fall, but appreciate that it is light fabric and has the ability to layer. 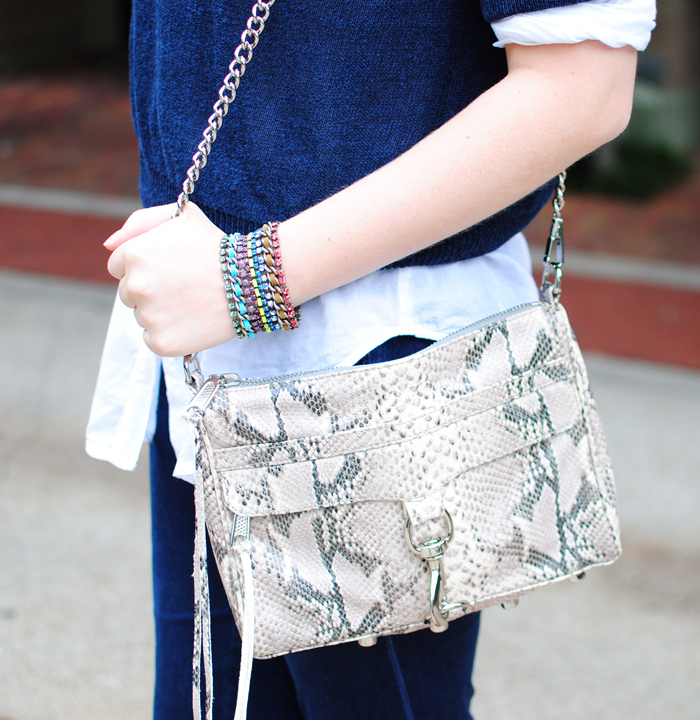 It’s a great year-round staple that I find goes perfectly well with my latest BaubleBar acquisition. 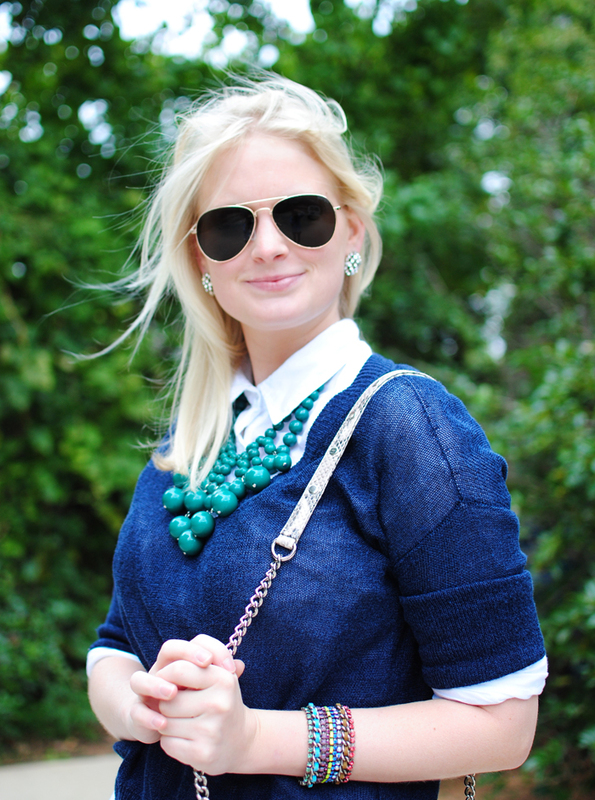 Love that BaubleBar necklace and it is so pretty against the navy…great layered look! I agree, gorgeous combo of colors and layers! 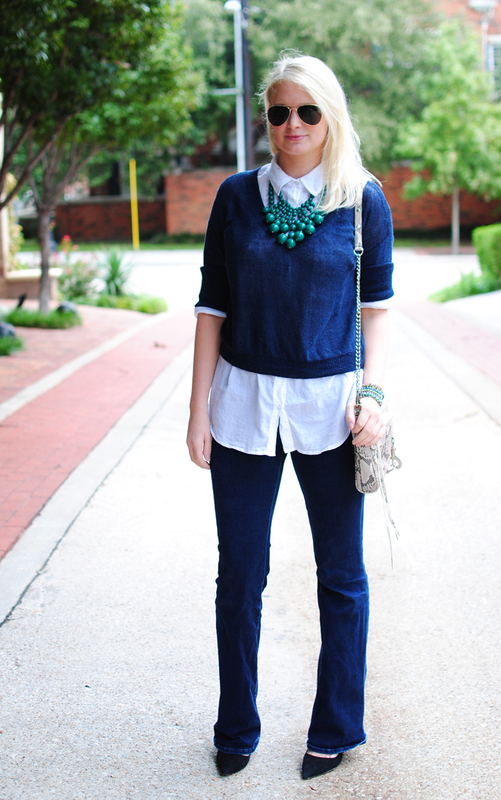 Yay for the resurgence of pointed toe pumps!